Due to bat lore and because they are only active at night, bats are often misunderstood and maligned. Most bats are harmless. They are not blind or dirty; they do not get caught in people’s hair or infest homes with bedbugs. And, much like other mammals, less than one-half of one percent of all bats contract rabies. 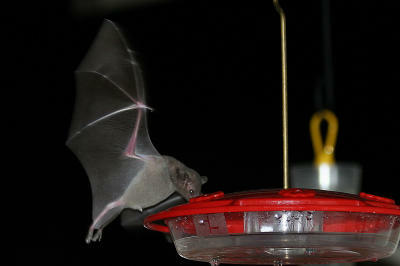 Bats are highly beneficial for insect control, as they are the only major predators of night-flying insects. 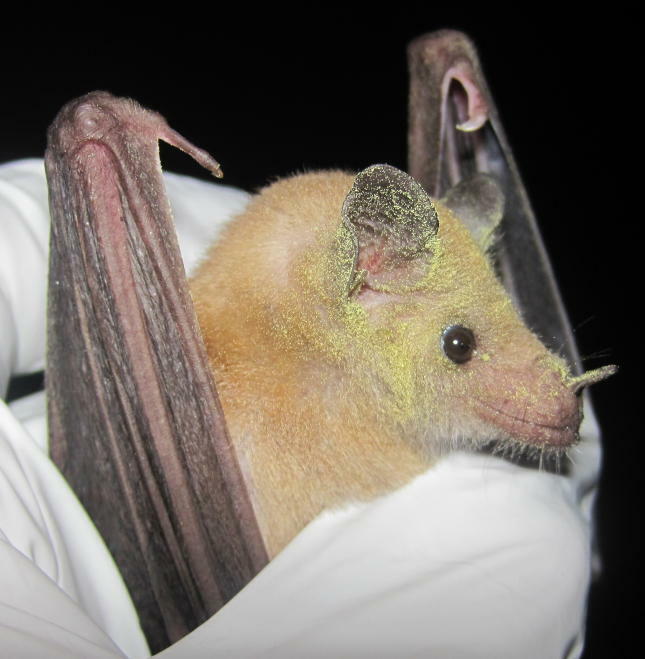 They pollinate fruit flowers, disperse seeds in tropical rainforests (aiding in reforestation) and are an important source of fertilizer (bat guano is actually mined from caves where bats live). Bats are also valuable in medical research, contributing to the development of navigational aids for the blind. Even to the casual observer, watching and learning about bats can be both fascinating and educational. 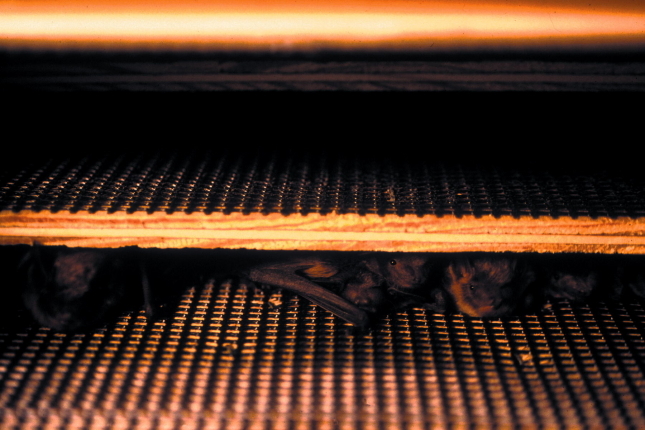 By providing a bat house, you may be able to bring these beneficial mammals to your yard. Here are some questions and answers to help you learn more about bats and bat houses. Bats use houses in most areas as nursery colonies. In some areas, they use houses for roosting. Throughout the northern two-thirds of the U.S. and Canada, the Little Brown Bat and the Big Brown Bat have been known to use bat houses. These bats can also be found in the Southeast but are generally replaced by the Southeastern Bat. Pallid bats are found in arid areas. The Evening Bat, Eastern Pipistrelle, Yuma Myotis and the Mexican Freetail Bat will also use bat houses. Any bats that roost in crevices or are found under bridges and in buildings are likely tenants for bat houses. In the northern two-thirds of the U.S. and Canada, most bats migrate south in the Winter. Very few species can survive northern subfreezing temperatures. Bats that inhabit bat houses generally move to an isolated cave or abandoned mine, while tree-roosting bats travel south just like birds. Bats might winter over in bat houses if they are in the southernmost area of the northern section. Because of its hardiness, the most likely bat to winter over is the Big Brown Bat. Bats find bat houses just like birds find bird houses. If a house is in the proper location, meets the bats’ requirements and is needed, bats will move in on their own. Bat houses can be hung anytime. Fall, winter or early spring are preferred. It may take a year to a year-and-a-half to attract bats, although some people report occupancy in only a few hours. Cooler areas, such as more northerly ranges or higher elevations, may require that houses be placed in a southerly exposure. Bat houses need to have at least six to eight hours of direct sunlight. In areas that are cool, the top third of the bat house exterior may need to be painted black or covered with roofing paper. In southern climates, the top third of the house exterior may need to be painted white. This may help the house achieve the 80° – 100°F temperature necessary for nursery colonies. The majority of bats that use bat houses are females, who use them as nurseries. However, a house that is not warm enough for a nursery colony may be right for attracting bachelors. Locate houses near a permanent water source and hang them 15′ above the ground where they are sheltered from the wind. The higher you can hang the house, the better. Houses in trees tend to take longer to become occupied than those on poles or buildings.